Importance of names as per astrology, how to keep names of baby, Know the astrology and numerology significance of lucky name. Name is very important for every one, a good name brings good luck and make life successful while a bad name ruin the whole life. So in vedic astrology there are some rules to give name to any baby. Special rituals are done while keeping name of any baby and special calculations are done so as to make the life of baby successful. There are many people who get success in life after changing there name by taking guidance from astrologer, numerologist to attract success in life. It is always good to keep suitable name after birth to make life successful. Read about Baby problems and astrology solutions . Some people keep whatever name they like which is not at all good because name has there impact on person so always keep the name as per the horoscope. It is good to use the astrology and numerology to keep name of baby so as to make life wonderful. 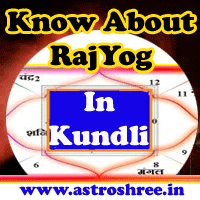 How Astrology And Numerology Help To Choose Name? First of all horoscope is made and zodiac is found, nakshatra is found. There are specific characters associated with different nakshatra. The related character is used to make name which enhance luck in life. Names give a baby identity and so it must be good and meaningful. Do consult astrologer to know the exact alphabet of any baby. Do ask astrologer to match the name you are keeping as per astrology and numerology to make life successful. Do the proper rituals known as namkaran sanskaar to keep name. If you are not doing rituals then do the prayer of your kul devi and kul devta and then keep name. Don't call your baby with different different names to avoid any confusion in life. Baby names are very important, don't make hurry while keeping names of your son or daughter.